Have you always wanted a shiny golden quill-shaped trophy? 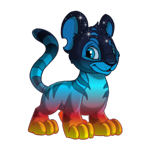 Are you an avatar collector aiming for a coveted NT Writer or NT Star avatar? Do you want to be recognized for excellent writing? This step-by-step guide will help you create awesome articles for the Neopian Times so you can get published! Exceptional writing skills are only useful if you have something to write about. The most important part of getting published is selecting good content. To get published, you’ve got to have something to say. Luckily, in Neopia, possible subjects are nearly limitless! To come up with a good idea, you should regularly read the Neopian Times to get a sense of what winning articles are like. You can look for inspiration from previous publications, but make sure your idea is original. Why would the Neopian Times publish a duplicate article when they could publish something new? Whatever else you are interested in! What am I especially good at on Neopets? What advice do I often find myself giving when I’m talking to other Neopets players? What is my favorite Neopian holiday/character/event/land? What aspect of Neopets have I always wondered about? Once you answer these questions, you will hopefully find something that you’re inspired to write about. The best topic will be something that interests you, since you’re going to be spending quite a bit of time with it! Once you know what to write about, you need to make sure you get all the details right. The Neopian Times has journalistic integrity: something untrue won’t be published! So, research, research, research to get all the information you can! Where to research depends on your topic. If you’re writing a game guide, make sure you’ve played the game. You want to understand the controls, the scoring, and your tips well enough to explain them to another person. You may even want to read previous game guides to ensure your information is accurate – and that you’re providing new information, new tips, or a new take on the game. If you’re writing about a Neopian character, check the Neopedia or the Gallery of Evil to read about them. If you’re writing about other Neopets players, hit the NeoBoards to talk to some. If you’re writing about a Neopian land, visit that land from the Explore Neopia page, and then explore it. You can also check fan sites like JellyNeo, SunnyNeo, or The Daily Neopets to make sure you’re not missing any important information. For example, when researching this article, I checked the Neopian Times Handy Tips (http://www.Neopets.com/help_search.phtml?help_id=172) so I knew my advice was accurate, but also added something new. I looked at a previous article in the Neopian Times that provided some tips, and made sure my article provided a new take. A step-by-step guide hadn’t yet been done! I also reviewed other articles I authored that were published so I could remember what worked well for me as an author, so I could provide tips from my own experience. When researching, your goal should be to learn everything you can about your topic, whatever it is. You may not end up needing to know all of what you learn, but you certainly don’t want to miss something. Every good article needs a good structure. The structure of your article helps your readers understand what you’re trying to say. It would be really confusing if an article made a point, then shifted to another point, then returned to the first one. Your readers wouldn’t be able to follow what you’re saying! Outlining your article helps you organize your information and ensure you have an idea of what order you want to say things in before you start writing. Outlining is easiest when you think of it as creating headings. Headings are short descriptions of what you’re going to discuss next within your article. They help your readers navigate the article. When most people read an article online, they actually skim it instead of reading it thoroughly. Headings allow them to find sections that matter to them, so they can pay closer attention to what they’re interested in. For example, when you’re writing a game guide, your headings might be: How to Play, Controls, Scoring, Strategy, and Tips. For a how-to guide (like this one), your headings will probably be the steps in the process. Write down your headings and determine which order you want to have them appear in your article. Choose an order that flows. Plan an introduction and a conclusion and you’ve got an outline! Now that you have an organized plan for how your article will go, it’s time to start writing! Sometimes the hardest part of writing is starting: looking at a blank page, perhaps with a blinking cursor, just waiting for you to create something new. It can be really overwhelming. So, the best thing to do is just start writing. Write whatever you are thinking about – related to your topic, ideally. Even if what you write doesn’t make much sense the first time around, at least you’ll have started. You can always make changes later. You don’t have to write your article in order. You can write your final point first, and then go back to an earlier one, if you want. If you have ideas that you want to get out of your head, even if they’ll appear later in the article, just start writing them down. Write in an order that makes sense to you – you can move things around later. Getting your ideas written down is often the most time-consuming part of article-writing, but it’s also the most satisfying. You can see the progress you’re making as you’re making it. Plus, you can have some fun as you create! Sometimes as you’re writing, you may hit a point where you’re not done, but you don’t know what more to write. You’re just at a loss. This is called “writer’s block,” and it happens to all writers at some point. There are several things you can do to combat writer’s block. Take a break and do something else for a while so you can come back to writing with fresh eyes. Set a goal number for a list and brainstorm ideas about your topic until you’ve reached the goal number and you feel inspired again. Try freewriting, where you set a timer for 5-10 minutes and constantly write – whatever you’re thinking, related to your topic or not – until the timer goes off, and hopefully you'll find you've written something you can use. All of these strategies can help get your creative juices flowing again so you can get past your writer’s block and make more progress on your article. Once you’ve expanded on each of your points from your outline, make sure you include specific sentences to orient your readers in your article and make the entire article flow. These include an introduction, a conclusion, and transition sentences. An introduction is the first paragraph of your article that introduces your topic and informs the reader why they should be interested in your topic. A conclusion is typically the last part of your article. It sums up your previous points, reminds readers why they should care, and maybe even relates your article to another part of the experience of Neopets players. Transition sentences appear throughout your article. They relate your points to each other and to your overall topic to help readers move through your article and stay focused on its meaning as a whole. While these can sometimes feel like useless “fluff,” especially as you’re writing them, they are actually very important parts of a finished piece. They make the article easier for readers to understand. Without them, readers may not realize how your points are connected. The article will feel very abrupt, and thus difficult to read. When you’ve explained all of your points and you have an introduction and conclusion, you have a first draft! Congratulations! But don’t submit it – you’re not done yet! Now that you have a draft, you should go back to the beginning and read it through. Look for anything you may want to change: wording, sentence order, typos, etc. Take your time and make sure everything in your article is the best it can be. Repeat this step until you are completely satisfied with what you’ve written. You want to submit your best work! During this step, you may want to change words so you’re not using the same words over and over and over again. A thesaurus is a powerful tool to find words with similar meanings. You might even find a word that describes the concept better than the word you originally chose. At least twice, read through your work and check carefully for typos. Articles with many mistakes like spelling errors or grammatical errors don’t get published – especially if the errors distract from what the author is trying to say. Make sure your work isn’t in that category. One way to check for spelling errors is to read your work backwards, one word at a time. It’s easier to see spelling mistakes when you’re looking at each word individually rather than in the context of sentences. You can also use a spellchecker in a word processor computer application, but because many words for the Neopian Times are specific to Neopets, they won’t be in your computer’s dictionary. So, the computer won’t be able to catch misspellings of Neopian words, and it may be harder for you to find the misspellings of other words because the computer focuses your attention on so many Neopian words. When editing and proofreading, you may want to take a break. It often helps to step away from your work to get a new perspective and then return with renewed energy. You may notice something you didn’t see before that can be improved. You can also ask a trusted friend to read through your article before you submit it. Having someone else look it over means they can provide feedback about whether something is confusing or didn’t make sense to them. That can help you realize where you might need to provide more explanation. You’ve written your draft and checked it through for edits and typos several times. You’re satisfied with it. It’s almost time to submit! Before you submit, you may want to adjust the format of your article. Adding formatting to your headings will help readers spot your headings so they don’t look like regular text. Formatting also allows you to add emphasis to parts of your article with bold or italics, if you desire. For the Neopian Times, you can control the formatting of your article by using HTML tags in square brackets (rather than angle brackets). If you want to make your headings bold, use the ‘b’ tag in square brackets. Finally, add a meaningful title to your article. The purpose of a title is to get potential readers to find your article and to decide to read it. Your title should be catchy, so it captures the interest of potential readers. It should also be descriptive, so potential readers know what they might learn from reading the article. With those attributes, your title should be able to help interested readers find your article and read it. Now, all that’s left to do is to submit! Go to the submission page and copy in your title and article. Add any comments that you want to say to the Neopian Times editors, such as if you have a co-author who also deserves credit, if you’re submitting this along with other articles as part of a series, or if you want your article considered for a particular issue of the Neopian Times. At this point, look everything over one last time to make sure you’re completely happy with it, and then click the “Submit article” button! After you’ve submitted, you’ll have to wait. The Neopian Times editors get a lot of submissions and it may take them some time to get back to you. Eventually, you’ll get a Neomail that lets you know what the decision on your article is: rejected, held over, or published. If it’s rejected, the Neomail will give you a reason why your article was rejected at this time. Depending on the reason, you can make changes to your article that addresses the reason and resubmit it later. A common reason for rejection is “too many good entries,” which means that while your article was good, it wasn’t selected right now. Submit it again in a few weeks, and there might be a different outcome! If your article was held over, that means it will likely be published in a future edition of the Neopian Times. It’s very common for articles to be held over rather than go directly from submission to published. Getting notification of an article being held over is a reason to celebrate. Be patient and soon you’ll see your writing in the Neopian Times, published for all to see! Whether or not your article was published this time, don’t get discouraged. Becoming a good writer takes lots of practice. If your article wasn’t chosen, consider asking friends or family to read it over and see how you can improve. Try writing an article on a different topic. Keep practicing, and most importantly, keep reading. One of the best ways to become a good writer is to be a good reader. Pay attention to how authors structure their articles, how they use transition sentences, and generally how they write so you can keep adjusting your own style. If you keep trying and improving, eventually, you will get published. Good luck! I am here to honor this underrated species by recommending the top fifteen Kougra colors out of all the choices that exist. Can you guess the species and color of this neopet using only a short riddle and a few pictures? This confuses a lot of players, "why do they only have one pet?" There are actually many reasons for this, all unique to the player.